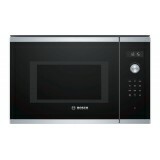 Microwave function: time saving preparation, defrosting and re- heating of dishes. AutoPilot 8: every dish is a perfect success thanks to 8 pre- set automatic programmes. Electronical door opening: comfortable door opening just with a fingertip on the sensor button. 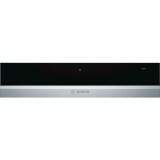 Grill fu..
Bosch BIC630NS1B Warming Drawer The multifunctional 14cm warming drawer pre-heats plates, keeps food warm and even cooks at low temperatures. Push-pull mechanism: easy opening and closing with spring mechanism Cleaning convenience: tempered glass hotplate for eas..
Bosch Built-in Steamer CDG634BS1 The steamer: prepare foods especially gently, retaining the aroma and vitamins. Steam function: for gentle, healthy food preparation. 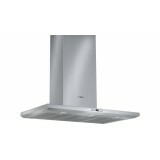 AutoPilot 20: every dish is a perfect success thanks to 20 pre-set automatic ..
Bosch DEE928PSG Slimline Chimney Hood The wall-mounted chimney hood: mount it on the wall, giving you complete freedom in your kitchen planning. High efficency grease filtration system: European style mesh filter system. Extraction rate: at 1000 m3/h, it qui.. 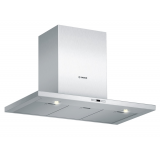 Extraction Rate: 980 m3/h to ensure optimal kitchen air quality Especially quiet: High performance at just 48 dB LED lighting: for perfect, very energy- efficient illumination of the hob Intensive speed setting with reset: Automatically resets to normal speed setting after 6.. 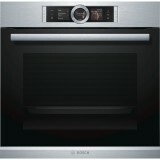 The built-in oven with AutoPilot: automatically prepares perfect dishes. 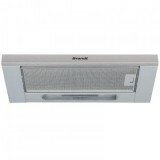 1) 3D Hotair: perfect results thanks to optimal distribution of heat on up to 3 levels simultaneously. 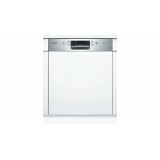 2) AutoPilot 30: every dish is a perfect success thanks to 30 pre-set automatic programmes. 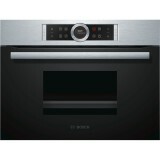 ..
Bosch Built-in Electric Oven + Microwave HMG656RS1 The built-in oven with PerfectBake, PerfectRoast and microwave function: your dishes come out perfect – it’s automatic and fast. 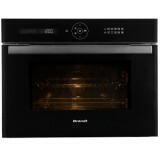 PerfectBake Sensor and PerfectRoast thermometer: the easy way to perfect baking and..
Bosch Built-in Eelctric Oven HNG6764S1A The built-in oven with PerfectBake, PerfectRoast, microwave and added steam: perfect, crispy results, even when you’re in a hurry. 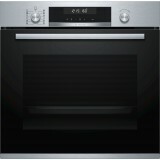 PerfectBake Sensor and PerfectRoast thermometer: the easy way to perfect ba..
Bosch Built-in Combi-steam Oven HSG636ES1 The steam oven with PerfectBake and PerfectRoast: you get perfect results, automatically and gently. Steam baking: by adding steam, foods turn out crispy on the outside and juicy on the inside. 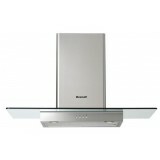 DishAssist: autom..
Bosch DIB121U50 Island Hood The island chimney hood: Flexible ceiling mounting for your island kitchen Extraction rate: 890 m3/h to ensure optimal kitchen air quality LED lighting: for perfect, very energy-efficient illumination of the hob. 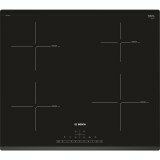 Especially ..
Bosch Built-in Gas Hob PBD7231SG The tempered-glass gas hob: offers you a sophisticated design that is easy to clean. Flame wheel wok burner and 4.5 kW: for excellent cooking, especially for Asian style food. 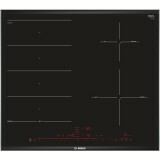 The la..
Bosch PBD7232SG Tempered Glass Hob The tempered-glass gas hob: offers you a sophisticated design that is easy to clean. Flame wheel wok burner and 4.5 kW: for excellent cooking, especially for Asian style food. 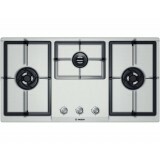 Enhanced flame control: the large knob can rotate in a 230..
Bosch Built-in Gas Hob PBD7331SG The tempered-glass gas hob: offers you a sophisticated design that is easy to clean. Flame wheel wok burner and 4.5 kW: for excellent cooking, especially for Asian style food. 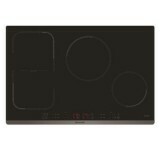 The large 230° knob rot..
Bosch PBD7332SG Tempered Glass Hob The tempered-glass gas hob: offers you a sophisticated design that is easy to clean. 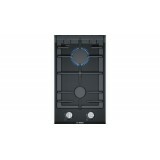 Flame wheel wok burner and 4.5 kW: for excellent cooking, especially for Asian style food. 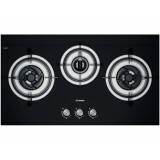 Enhanced flame control: the large knob can rotate in a 230..
Bosch Built-in Gas Hob PBD7351SG The stainless-steel gas hob: its high quality and premium design let you enjoy cooking more. Flame wheel wok burner and 4.5 kW: for excellent cooking, especially for Asian style food. The large 230° ..
Bosch Built-in Gas Hob PBD9331SG The tempered-glass gas hob: offers you a sophisticated design that is easy to clean. Flame wheel wok burner and 4.5 kW: for excellent cooking, especially for Asian style food. 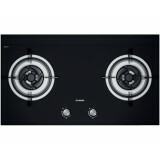 The large 230° knob rot..
Bosch Built-in Gas Hob PBD9351SG The stainless-steel gas hob: its high quality and premium design let you enjoy cooking more. Flame wheel wok burner and 4.5 kW: for excellent cooking, especially for Asian style food. 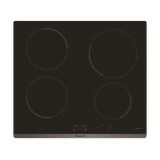 The larg..
Bosch PIE631FB1E Induction Cooktop The Induction cooktop: Faster than gas and ceramic hobs, induction is easier to clean and more energy efficient. 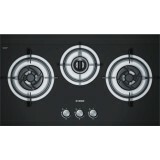 DirectSelect: Direct, simple selection of the desired cooking zone, power and additional functions. 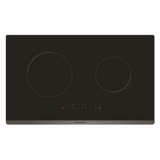 Front-Bevel: Elegant,..
Bosch PKF375CA1E Radiant Ceramic Hob The radiant hob of the Domino programme: makes cooking and cleaning especially easy. 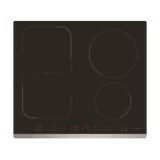 30 cm width: suitable for combining with other Domino and ComfortProfile hobs. 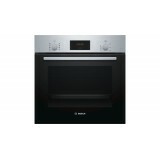 Cooking Zone 2 Radiant cooking zones, including:..
Bosch PKU375FB1E Barbecue Grill 30 cm width: suitable for combining with other Domino and ComfortProfile hobs. 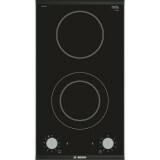 Glass-ceramic cover: elegant hob cover that is easy to clean. 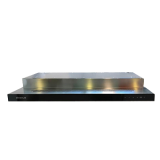 Lava grill function: for grilling with lava stones and water, or with water alone ..
Bosch PKY475FB1E Teppan Yaki Grill The Teppan Yaki hob of the Domino programme: roast and cook the traditional Japanese way. 40cm width: For easy combining with other dominos and ComfortProfile hobs Two separately controlled cooking zones: Cook or heat using the entire..
Bosch PXE675DC1E Induction Ceramic Hob PerfectFry: achieve perfect frying results thanks to automatic temperature control. 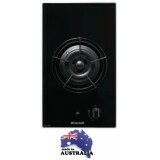 DirectSelect Premium: Direct, simple selection of the desired cooking zone, power and additional functions. 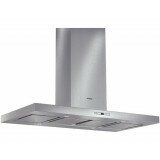 PerfectFry: For perfect browning of roa..
Bosch DHI623GSG Slimline Hood The telescopic cooker hood: Hides into your cabinet for a sleek kitchen front Extraction rate: 420 m3/h to ensure optimal kitchen air quality Halogen lighting: For optimal, energy-efficient illumination of your hob ..
Bosch DHI923GSG Slimline Hood The telescopic cooker hood: Hides into your cabinet for a sleek kitchen front Extraction rate: 420 m3/h to ensure optimal kitchen air quality Halogen lighting: For optimal, energy-efficient illumination of your hob .. Creates an extra zone of peace for you. 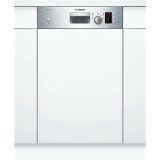 Our especially quiet dishwasher SuperSilence. ExtraDry: extra-thorough drying option for difficult-to-dry loads. SuperSilence: remarkably quiet at 44dB. 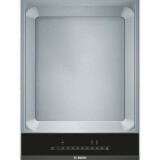 Glass 40°C: protective program for ..
Bosch SPI50E95EU Integrated Dishwasher Height-adjustable top basket: Allows more flexibility to move the upper basket to accommodate all types and sizes of dishes ● VarioSpeed: Rinses in half the time with optimum cleaning and drying results. ● AquaStop: Ens.. 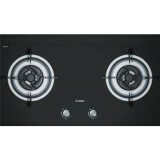 Brand 30cm Single Zone Gas Hob TG308XC1 Features • Gas • 30 cm • 5 KW • Black tempered glass surface • Supplied in natural gas version • 5000 W Functions • Black tempered glass surface • Single wo..
- Island hood Installed in an island like configuration, this hood will go well with the arrangement of your kitchen. 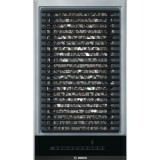 - Standard carbon filter The filter provides an effective air purification in recycling mode. 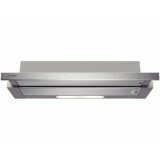 - Halogen Lighting It provides a natural an..
Brandt 90cm Glass Decorative Hood AD1189X Features • Wall mount • Stainless steel + glass • 90cm • Evacuation or Re-cycling mode Control panel • Electronic button control Functions • Max. 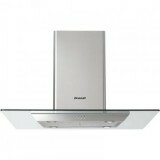 ..
Brandt 90cm Decorative Hood AD658XC1 Features • 90 cm • Max. 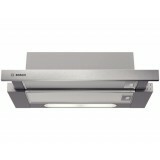 flow rate: 1000 m3/hr • 54 dBA at 330 m3/hr • 1 motor and 1 fan • Stainless steel • Lighting: 2 halogen x 40 W Functions • 4 extracti.. 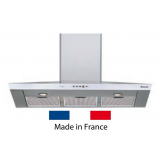 Decorative (Wall- mount) Beautifully styled, decorative hoods combines classy feel of glass with the professional look of stainless steel for a powerful and stylish wall mounted hood. 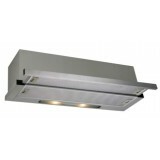 Easy Maintenance Brandt hoods are easy to maintain with washable stainless steel baffle fi..
Semi- integrated Hood This semi- integrated hood combines efficiency and discretion. 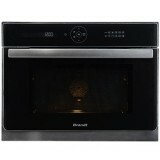 Power Allows the total evacuation of cooking fumes. Cartridge filters in aluminium Once the stainless steel filters are saturated, they can be easily removed and cleaned ..
- Telescopic hood With its retractable drawer, this hood combines efficiency and discretion. - 3 extraction speeds For an adapted use at all kind of preparatory work. - Cartridge filters in aluminium Once the aluminium filters is saturated, it can be easily removed ..
Brandt 90cm Telescopic Hood AT1490X Mechanical structure • Telescopic • Stainless steel • 90cm • Evacuation or Re-cycling mode Control panel • Mechanical slider control Functions • Max. 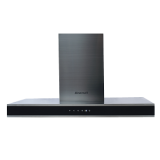 airflow: 400m..
-Comfort With a clean backlit display, Brandt microwaves provide clear feedback and allow for precise tuning of programmes. -Quattro system The Quattro system ensures optimal diffusion of the waves inside the cavity with 4 waves and a distributor. 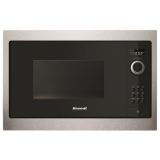 Your dishes will be ..
-Design Brandt microwaves combine style with substance with user friendly functions wrapped in a sleek and stylish package. -Quattro System The Brandt Quattro System ensures optimal diffucion of the waves inside the cavity! 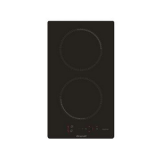 Your dishes are thawed, cooked or reheated e..
- Dedicated keyboard Thanks to dedicated keyboard for each cooking zone, you can control the hob very easily and quickly. 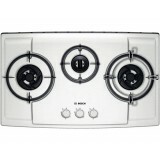 For more comfort, the hob has one independent timer. - 10 safety points Integrale safety thanks to the 10 safety points with overheating protect..
-2 zone cooking Enjoy flexible cooking with Brandt's 2 zone induction hob! 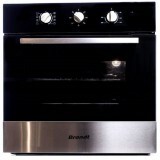 -Brandt's 10 Safety Measures 10 safety points ensure with overheating protection, child lock, residual heat indicators, anti-overflow system, automatic stop system, pan detection and small ob..
-Precise and Efficient Cooking All Brandt Induction hobs feature electronic, touch sensitive controls for effortless use. Precise heating levels allow you to create inspired dishes while the Boost function brings your straight to maximum power. -Cooking Memorisation P..
10 safety points Integral safety thanks to the 10 safety points with overheating protection, child lock, residual heat indicators, anti-overflow system, automatic-stop system, pan detection and small object detection. 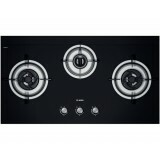 ..
4 Zones are available to accomodate your cooking needs! 10 safety points Integrale safety thanks to the 10 safety points with overheating protection, child lock, residual heat indicators, anti-overflow system, automatic-stop system, pan detection and small object detection. 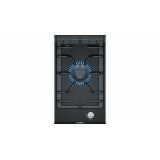 ..
-horiZonetech This zoneless cooking concept empowers you to push culinary creativity to the limits! horiZonetech boasts a true zoneless induction cooking surface that is able to accommodate all shapes and sizes of cookware - from rectangular pans to oval dishes. -Precise ..